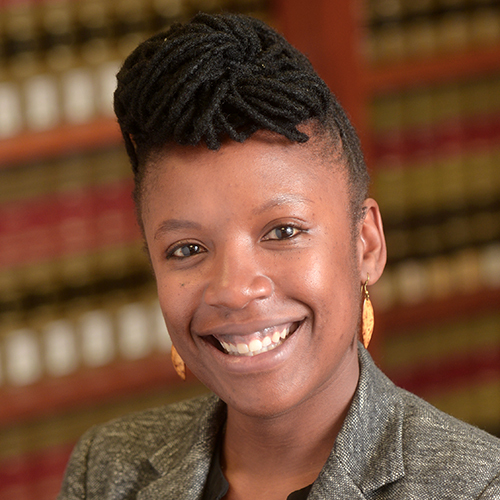 E. Tendayi Achiume is Assistant Professor of Law at UCLA School of Law. She is also a Research Associate with the African Centre for Migration and Society at the University of Witwatersrand. The current focus of her work is the global governance of racism and xenophobia; and the legal and ethical implications of colonialism for contemporary international migration. More generally, her research and teaching interests lie in international human rights law, international refugee law, international migration, and property. In November 2017, the United Nations Human Rights Council appointed Professor Achiume the UN Special Rapporteur on Contemporary Forms of Racism, Racial Discrimination, Xenophobia and Related Intolerance, making her the first woman to serve in this role since its creation in 1993. In 2016, she was appointed to co-chair the 2016 Annual Meeting of the American Society of International Law (ASIL), and she is currently the co-chair of the ASIL Migration Law Interest Group. In 2018, she was named an Emerging Scholar by Diverse: Issues in Higher Education. Professor Achiume earned her B.A. from Yale University and her J.D. from Yale Law School. She also earned a Graduate Certificate in Development Studies from Yale. Professor Achiume clerked for Deputy Chief Justice Dikgang Moseneke and Justice Yvonne Mokgoro on the Constitutional Court of South Africa. Following her clerkships, she was awarded the Bernstein International Human Rights Fellowship to work for the Refugee and Migrant Rights Project unit at Lawyers for Human Rights in Johannesburg. Professor Achiume also taught on the faculty of the International Human Rights Exchange Programme based at the University of the Witwatersrand. She then joined the New York office of Sullivan & Cromwell LLP as a litigation associate. Immediately prior to her current appointment she was the second recipient of Binder Clinical Teaching Fellowship at UCLA School of Law. Professor Achiume’s publications include: "Migration as Decolonization," Stanford Law Review (forthcoming 2019) (selected for the 2018 Harvard-Stanford-Yale Junior Faculty Forum); "Governing Xenophobia," Vanderbilt Journal of Transnational Law (forthcoming 2018); “Syria and the Responsibility to Protect Refugees,” 100 Minnesota Law Review 687, (2015); and “Beyond Prejudice: Structural Xenophobic Discrimination Against Refugees," 45(2) Georgetown Journal of International Law 323 (2014). Professor Achiume is a core faculty member of the UCLA Law School Promise Institute for Human Rights, the Critical Race Studies Program, and the Epstein Program in Public Interest Law and Policy.